Eye health is not only crucial to your vision, but also affects your overall health. Choosing the right eye doctor can have a significant impact on the well-being of your eyes. Here are four reasons to try Valley EyeCare Center. When it comes to taking care of your eyes, there are few things more important. 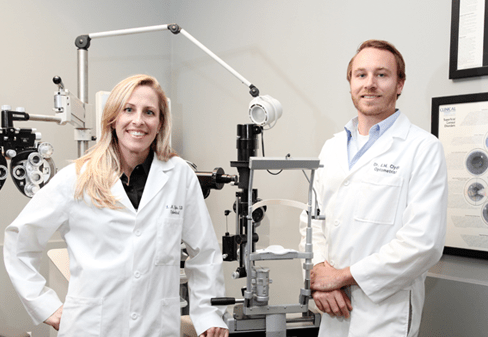 It’s crucial to see professionals who can provide the proper diagnosis and care for your eyes. According to the Mayo Clinic staff, receiving regular eye exams can detect potential problems early. Valley EyeCare Center provides the latest technology and the best quality products to meet all your needs. Even with the best doctor available, your experience at his or her office will determine whether you continue the relationship in the future. Valley EyeCare Center is all about helping you keep your peace of mind by providing exceptional customer service and convenient tools both online and in the office. In the office, the eyeglass guide offers direction and education, while links for ordering on the website give you convenience. It’s a family affair at Valley EyeCare Center. Because Dr. Lindsey Clyde and Dr. Eric Clyde are a brother and sister team, there is a sense of home in the air as soon as you walk through the door. When visiting their office, you can rest assured that both doctors and their staff will make sure you are as comfortable as possible. With everything from pediatric services to age related macular degeneration management, Valley EyeCare Center meets the vision needs of everyone in your family. Even your family members who have no known vision problems should schedule regular eye exams to prevent possible future issues. This is especially important in children, since they often can’t express the vision problems they may be experiencing. If you’re looking for the complete package in eye care, schedule a comprehensive eye exam for yourself and your family today.